Two hard-working figures from the Hastings & Rother School Sports Partnership are among the Sussex Sports Awards finalists. Teresa Bennett is one of three finalists for the Wave Leisure Outstanding Contribution to Sport Award along with Ron Philpot (Crawley Swimming and Waterpolo Club) and Terry Cooper (University of Sussex). And Sarah Graham is in the running for the Young Volunteer of the Year prize along with Tom Amber (University of Brighton/Woodingdean Wanderers Football Club) and Amy Rawlinson (Horsham District Council). Teresa has been teaching PE for 30 years, the last 25 of them at The St Leonards Academy and Filsham Valley School, as the Edinburgh Road-based academy was previously known. For the last six years she has been the school games organiser for the Hastings & Rother School Sports Partnership, organising lots of events across various sports, and chairs the Sussex School Games organisers. Herself a talented table tennis player for many years, Teresa has been secretary of the East Sussex Schools’ Table Tennis Association for 25 years and runs the Hastings & District Junior Table Tennis League. Sarah is a former St Leonards Academy pupil who is now studying BTEC sport at Bexhill College and hoping to go on to study sport at university. 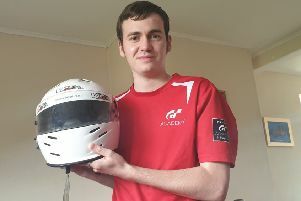 The 17-year-old has done more than 100 hours of volunteering at primary school sporting events, doing such things as helping to set up cross-country courses and time keeping in sports hall athletics. Someone who goes above and beyond the call of duty, Sarah has gone on courses for coaching qualifications and travelled to Burgess Hill to be part of the Sussex Sports Leadership Academy. As well as giving up so much time to help others, she also gets involved in a playing capacity for Uckfield Rugby Club. There were a record number of nominations for the various awards from across the county and the winners will be announced during a black-tie gala dinner, organised by Active Sussex, at The Grand Hotel in Brighton on Friday November 23. The awards will welcome a special guest host in Eddie ‘The Eagle’ Edwards.